Kulbhushan Jadhav Case Hearing: Indian national Kulbhushan Jadhav was arrested in 2016 by Pakistan for alleged espionage. He was awarded death sentence by a military court without free and fair trial. 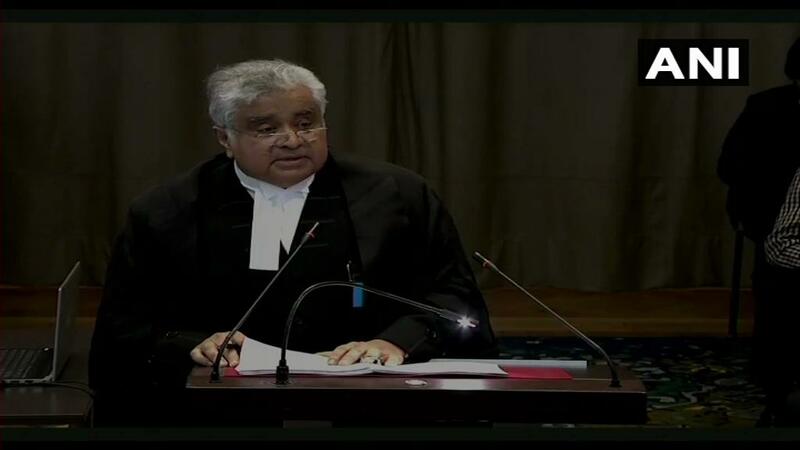 Kulbhushan Jadhav Case ICJ Hearing: The International Court of Justice (ICJ) has resumed the public hearing in Kulbhushan Jadhav case, an Indian national arrested in Pakistan for alleged espionage in 2016. 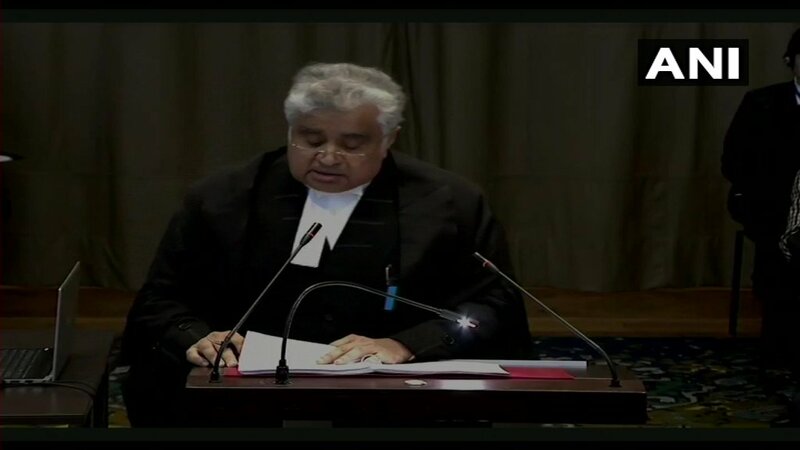 Representing India and Kulbhushan Jadhav in ICJ, Harish Salve read out rules and convention that Pakistan violated by not giving consular access to Kulbhushan Jadhav. The hearing comes at a time when tensions are running high between India and Pakistan following the Pulwama terror attack that left 40 CRPF personnel dead. Pakistan will be allowed to make its submissions on Tuesday (February 19). During today’s hearing, New Delhi is expected to argue on humanitarian grounds. Indian has alleged that Pakistan was breaking international rules and human rights laws by not allowing consular access to Jadhav. India will then file its reply the next day with Pakistan making its closing submissions on February 21. While Harish Salve will represent India in the case at The Hague, the English Queen’s Counsel Khawar Qureshi will argue for Pakistan. 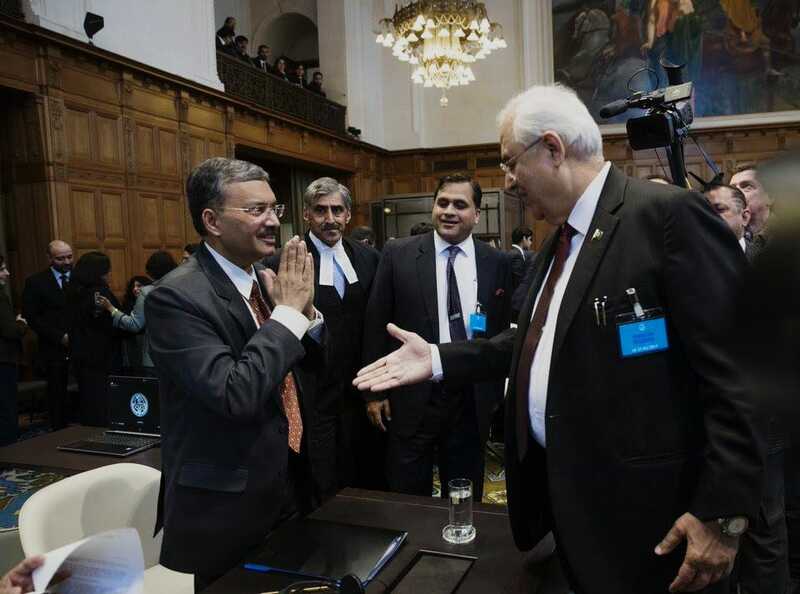 Government of India's agent and MEA Joint Secretary Deepak Mittal refused to shake hands with Pakistan's Attorney General Anwar Mansoor Khan before the proceedings in Kulbhushan Jadhav case at the International Court of Justice, in The Hague of Netherlands. Harish Salve: Jadhav custody without providing consular access should be declared unlawful. Pakistan has not disclosed the case based on which it convicted Kulbhushan Jadhav. Its military court by any standard does not satisfy. Pakistan side claims that Jadhav is an Indian spy, New Delhi maintains that he is a retired Navy official who was kidnapped. Jadhav was arrested in Balochistan in 2016 on charges of espionage and sentenced to death by a Pakistani military court, which was later stayed by the ICJ. Jadhav was arrested by Pakistani officials on March 3, 2016, on suspicion of espionage and sabotage activities against the country. After multiple attempts from India to connect with Jadhav, Pakistan in December allowed his family to meet him. India will get three hours for the first round of oral arguments from 10 am to 1 pm in The Hague (2.30 pm to 5.30 pm IST) on Monday. Pakistan will make its arguments at the same time tomorrow (February 19) and both countries will make the second round of oral arguments on February 20 and 21 respectively. In its counter-memorial submitted to the ICJ, Pakistan had stated that Kulbhushan Jadhav was not an ordinary person as he had entered the country with the intent of spying and carrying out sabotage activities. Pakistan's Ministry of Foreign Affairs website was not working in several countries including the US on Saturday. Blaming India for the attack on the website, Foreign Office spokesperson Mohammad Faisal alleged that New Delhi was behind the attack out of fear of the International Court of Justice (ICJ) proceedings against Kulbhushan Jadhav, the Express Tribune reported. The public hearing in the Kulbhushan Jadhav case is slated to commence on Monday before the ICJ. The hearing at the ICJ will begin at 2:30 pm (IST). The hearing will start with India making its argument. On Feb 19, Pakistan will fill its reple. On Feb 20th, India will again be given a change to submit its reply. The hearing will conclude on Feb 21 with final submission made by Pakistan. India first approached the ICJ on May 8, 2017 for the egregious violation of the provisions of the Vienna Convention on Consular Relations, 1963 by Pakistan by repeatedly denying it consular access to Kulbhushan Jadhav. Kulbhushan Jadhav, a native of Maharashtra, is a retired Indian Navy officer. He was sentenced to death by a Pakistani military court on charges of espionage and terrorism in April 2017. He was wrongly arrested by Pakistani security officials in 2016. Kulbhushan Jadhav was sentenced to death by a Pakistani military court for alleged espionage in April 2017 without free and fair trial. India had then moved the ICJ seeking an order to restrain Pakistan from executing Jadhav till the case was adjudicated on. Pakistan's Foreign Minister Shah Mehmood Qureshi has said that his country will present a strong case against alleged Indian spy Kulbhushan Jadhav at the International Court of Justice (ICJ). "Pakistan has all the evidence against Jadhav of sabotage activities inside Pakistan. Jadhav has admitted to being involved in such activities," Qureshi said. Why Pakistan rejected India’s plea for consular access to Jadhav? Pakistan had rejected India’s plea for consular access to Jadhav at the ICJ. Islamabad had argued that New Delhi wants the access to get the information gathered by its spy. However, Pakistan facilitated a meeting of Jadhav with his mother and wife in Islamabad on December 25, 2017. India has always maintained that Kulbhushan Jadhav was kidnapped from Iran where he had business interests after retiring from the Navy. India had approached the ICJ for egregious violation of the provisions of the Vienna Convention on Consular Relations, 1963, by Pakistan in Jadhav’s case. According to Pakistan claim, its security forces arrested Kulbhushan Jadhav from restive Balochistan province on March 3, 2016 after he reportedly entered from Iran. India will ask the United Nations' top court to give consular access to Jadhav who was arrested from Balochistan province and sentenced to death by a Pakistan military court without conducting a free and fair trial. The execution order was, however, put on hold by a 10-member bench of the ICJ on May 18, 2017. Last week, Ministry of External Affairs spokesperson Raveesh Kumar had said that New Delhi will take all steps required to bring Jadhav back. Pakistan, on its part, said that it is fully prepared with strongest evidence and it is committed to implement the decision of the ICJ in the case.